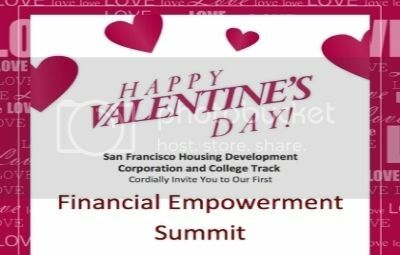 Thanks to everyone who came out to the Financial Empowerment Summit on February 14th. This free event was focused on teaching money management techniques and empowerment by using the popular television show The Dating Game as a metaphor for our relationship with money. The summit featured information about building and covering assets, accessing affordable housing, developing your inner entrepreneur, and creating college financing plans. The event was a great educational opportunity for all of the parents, college students,and entrepreneurs/aspiring entrepreneurs who attended. Everyone who went gained valuable knowledge about how to make their money go further towards their goals. A special thanks goes out to College Track and everyone who made this day possible. Make sure to join us for our future events. The District 10 Financial Empowerment Program launched Tuesday, June 24, 2014 at the offices of the San Francisco Housing Development Corporation. The event was celebrated with over 80 District 10 residents and included vast support from elected officials and community representatives. The first Financial Empowerment Eligibility Workshops was nearly booked long before the program launch event ended!The District 10 Financial Empowerment Program provides a network of free resources to District 10 residents or former residents who wish to return. D10 FEP participants work with a certified financial coach to determine their goals and values and develop a plan for a strong financial future. Thank you to everyone who attended SFHDC’s 25th Anniversary Gala Fundraiser and Awards Dinner on April 16th at St. Mary’s Cathedral. The event was a huge success attended by over 250 guests. It featured local entertainers, a silent and live auction, professional networking opportunities, a cocktail reception, a sit-down dinner and more. 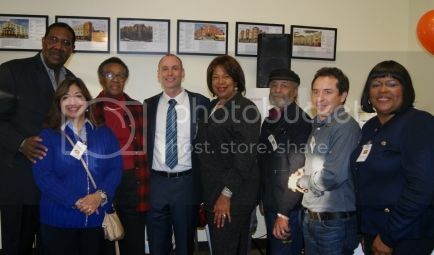 On October 24th, 2013, San Francisco Housing Development Corporation hosted an Open House at our office at 4439 Third Street, San Francisco. The event was a huge success, attended by nearly 200 people. Delicious food was provided by the local Bayview restaurant Radio Africa Kitchen and the night dazzled as we mixed and mingled amongst great company.